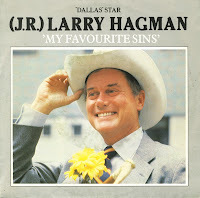 I wonder how many viewers of the American series 'Dallas' knew that Larry Hagman, who played J.R. in it, actually recorded a single. 'My favourite sins' stays true to the evil character he plays, while not taking it all too seriously. The result is a rather strange recording that is still a footnote in Hagman's career.